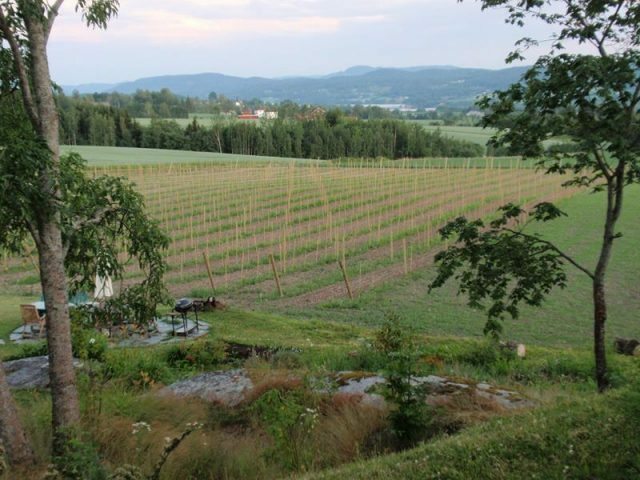 The northernmost commercial vineyard in the world, Norway’s Lerkekåsa is in the apple-producing village of Gvarv near Telemark, (59°40′N; 09°19′E). The vineyard was founded in 2007 by Joar Sættem and Wenche Hvattum, who planted their first grapes in the spring of 2008, with Solaris their grape of choice. A white variety, Solaris was created in 1975 in Germany by Norbert Becker, who crossed the variety Merzling (Seyve-Villard 5276 x (Riesling x Pinot gris)) as mother vine with Gm 6493 (which is Zarya Severa x Muscat Ottonel) as the father vine. 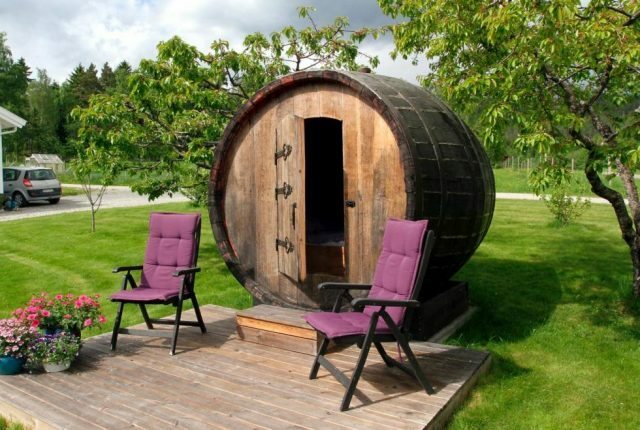 The vineyard welcomes visitors for tasting and overnight stays, with guests able to stay inside its huge 7,600-litre converted wine barrel, which cosily fits two.